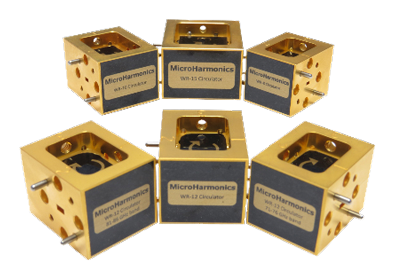 Micro Harmonics produces high-quality millimeter-wave products including millimeter-wave isolators and millimeter-wave circulators operating from 50 GHz to more than 330 GHz. These are the most technologically advanced millimeter-wave products on the market today. They are optimized for extended bandwidth and the industry’s lowest insertion loss. 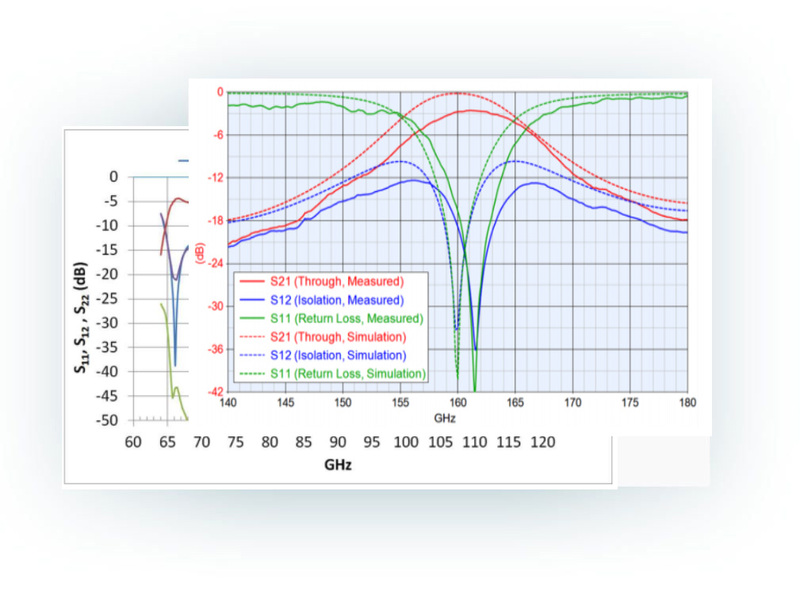 Our WR-3.4 isolators have typical insertion loss of less than 2 dB in the band 220-330 GHz! All of our ferrite components are 100% made in the USA and can be sole sourced in US government acquisitions. Millimeter Wave Isolators Use Faraday rotation isolators from Micro Harmonics to suppress standing waves in your systems. Our Millimeter Wave Circulators are the most advanced on the market today for directing signal flow in transmit/receive systems. 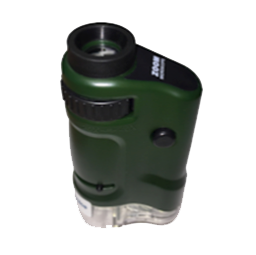 Our flange ID tool is designed to quickly identify waveguide flanges from WR-15 to WR-0.65. 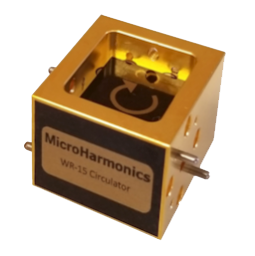 Micro Harmonics completes NASA Phase II development for MMW isolators and circulators. 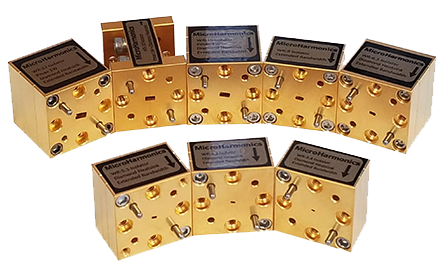 Micro Harmonics completes NASA Phase I SBIR contract for the development of millimeter-wave isolators optimized for cryogenic applications. The development was done in WR-10 (75-110 GHz). The ultimate goal is to expand our product line to include cryogenic options in all bands from WR-15 (50-75 GHz) to WR-3.4 (220-325 GHz). 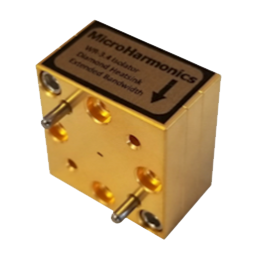 Micro Harmonics components are used in a wide variety of commercial and government applications. NASA uses them in earth and planetary atmospheric observation systems. Our millimeter-wave products are used in military applications such as compact range radar, imaging, covert communication, and chemical and bio-agent detection. Our components are also useful in a wide variety of scientific instrumentation for plasma diagnostics (ITER), chemical spectroscopy, biomaterial analysis, radio astronomy, biomedical systems, portal security scanners, high-frequency data links, and much more. We’re proud to provide the technology our military, scientific community, and medical providers use to save lives, protect lives, and learn more about the world and universe in which we live.